The holidays are here and its time to take some fun memorable photoshoot but where? 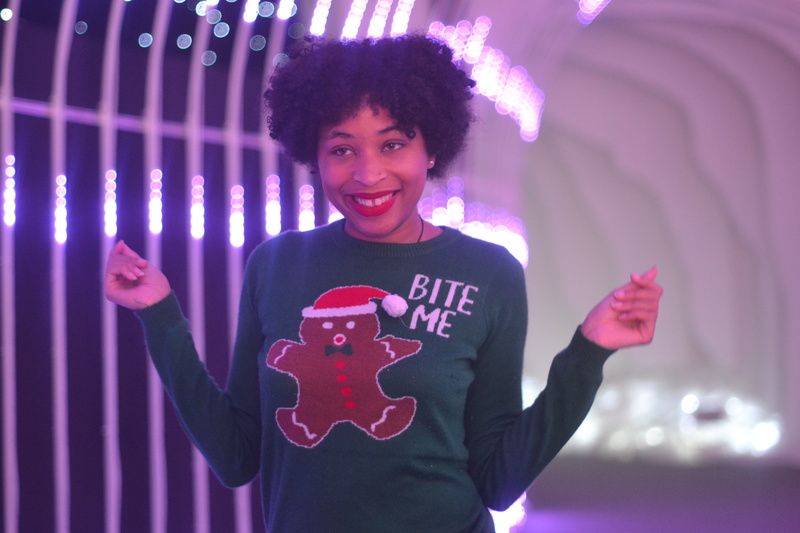 I know people hire a professional photographer, or take the traditional Santa Mall photos, but we are in the new millennium and the holidays just got more interactive in Atlanta. 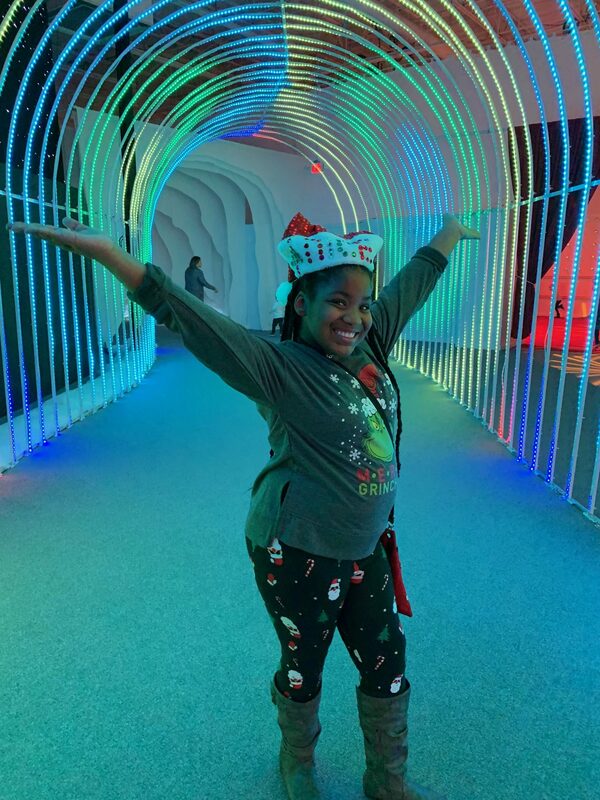 I visited Santa’s Fantastical, which is an amazing holiday literal wonderland of immersical worlds created to make the best memories all on your own! 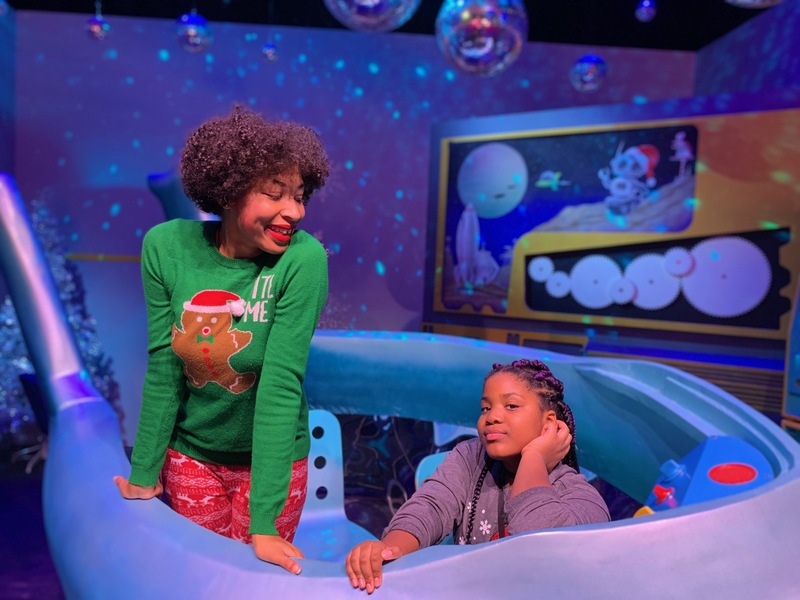 Santa’s Fantastical is a family-friendly interactive wonderland of immersive worlds where the spirit of the season comes alive through live performances, state-of-the-art technology, and Instagram-worthy moments. 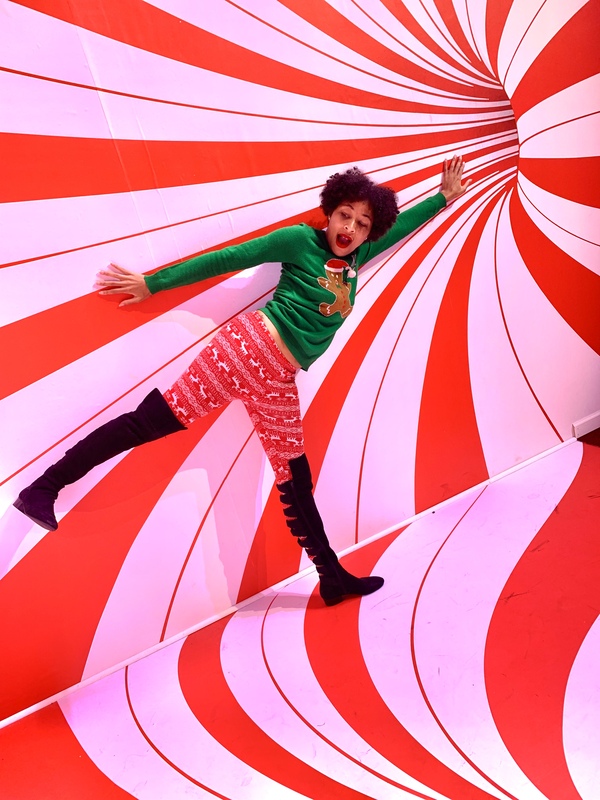 You all know I have been obsessed with themed photo-pop up places, they have been very trendy over the last few short years so of course you know I was down for a holiday version of one! 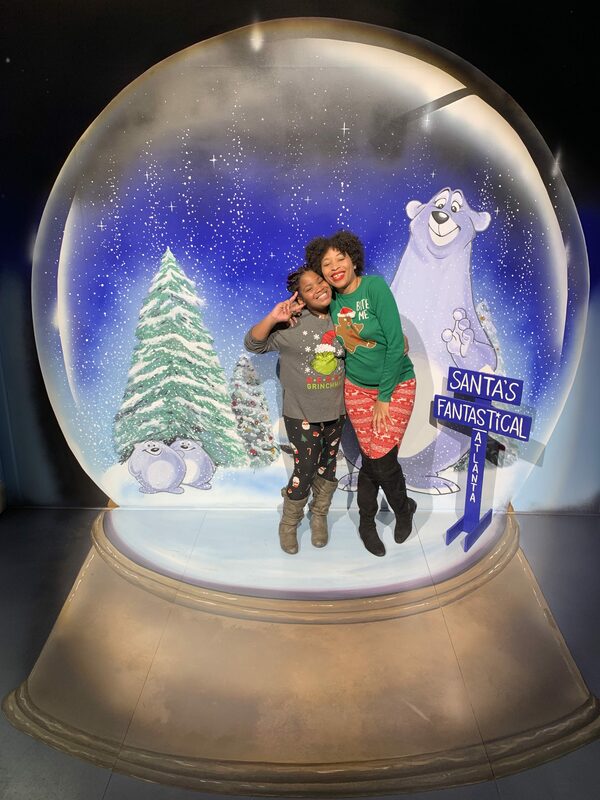 Now you all know I am a big kid, and I will take all of the themed photo and be in my own winterwonderland world, but I did bring my 10 year old niece and her mom with me to enjoy these moments as a family. 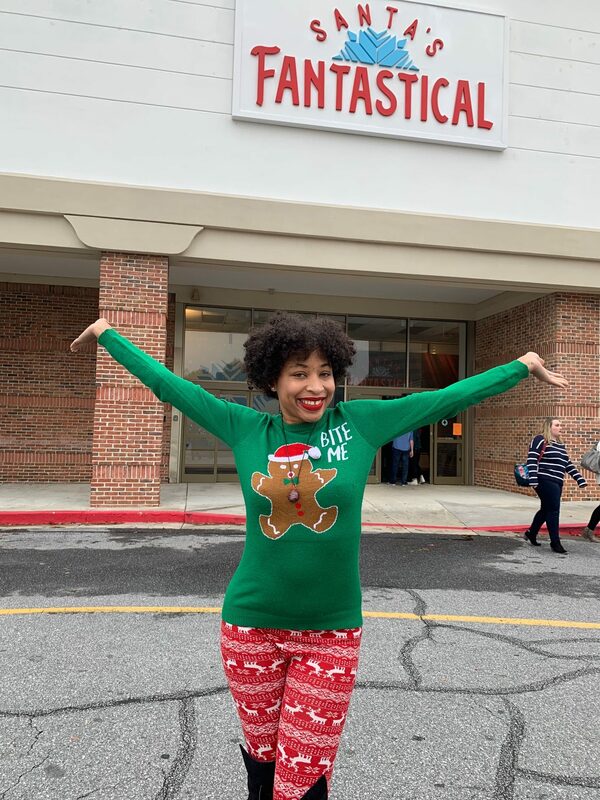 I didn’t have things like this growing up (just regular Santa Mall photos or church christmas outfits at the most), so this was an experience we were all going to do together. And the best part, we capture it all on our phones. We are the photographers to explore these 12 different spots of holiday wonderlust! This was the entryway to the cute Ice Alive area. 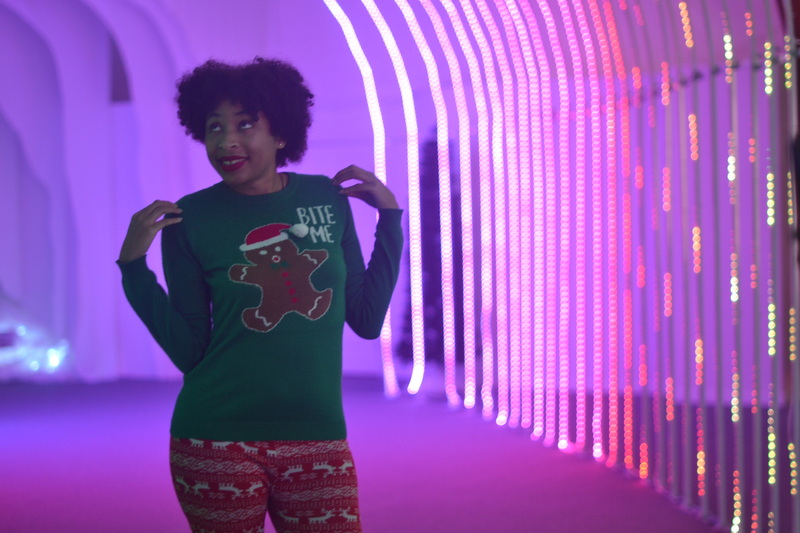 This is a cute rainbow arch of holiday lights that illuminate which are create for colorful photos. 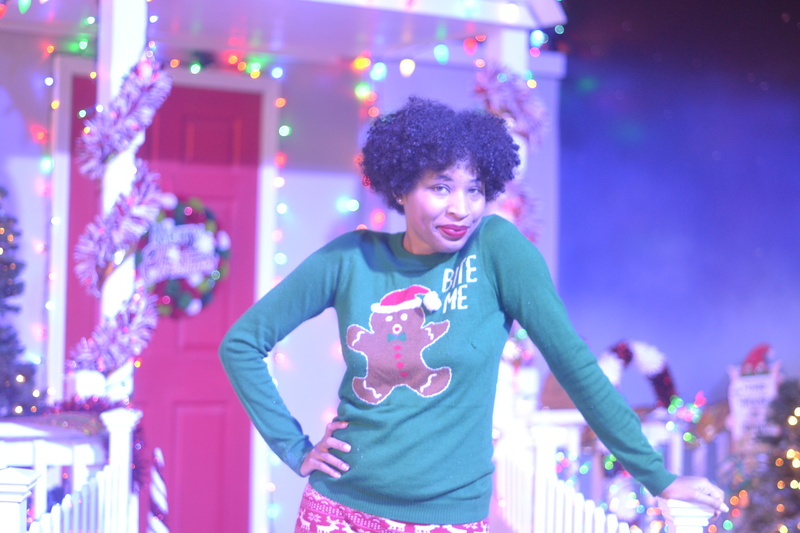 What’s a holiday photoshoot without Santa? Well instead of visiting him in the North Pole you can visit him in his Chateau. Some tickets if you order early enough comes with a free Santa Chateau visit! 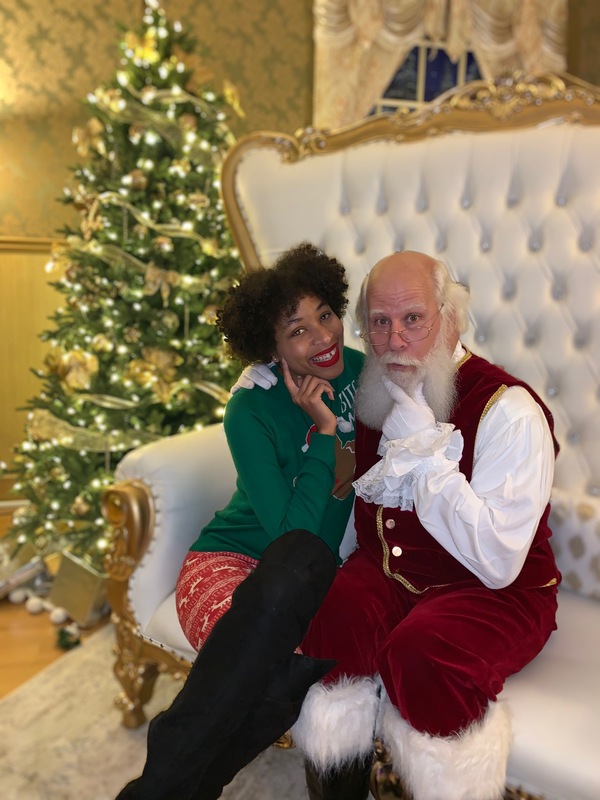 Feel free to take photos on your phone with Santa or they have professional photoshoots with Santa here too! You ever had a neighbor who went all out with the holiday lights? It was nice to look at but I am sure it would be crazy to do a whole photoshoot there? 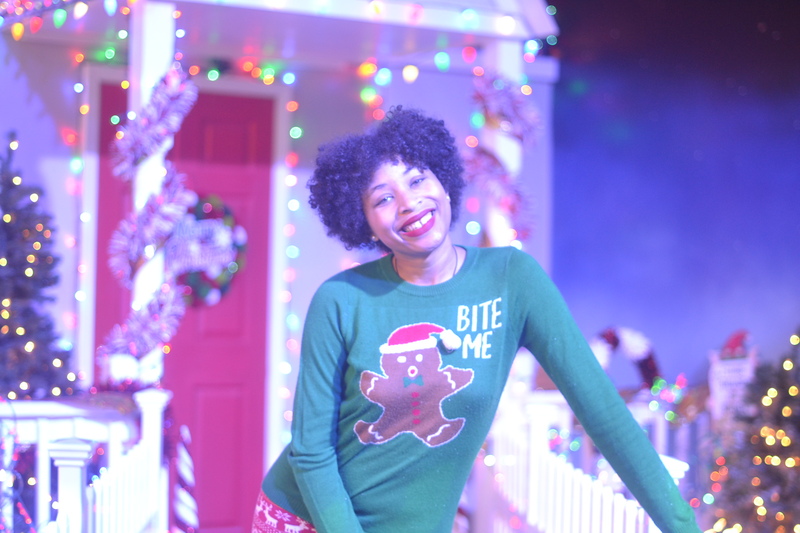 Well at Santa Fantastical your imaginary neighbor doesnt mind if you come over and take all of the photos in their lit up yard. Its pretty cute! 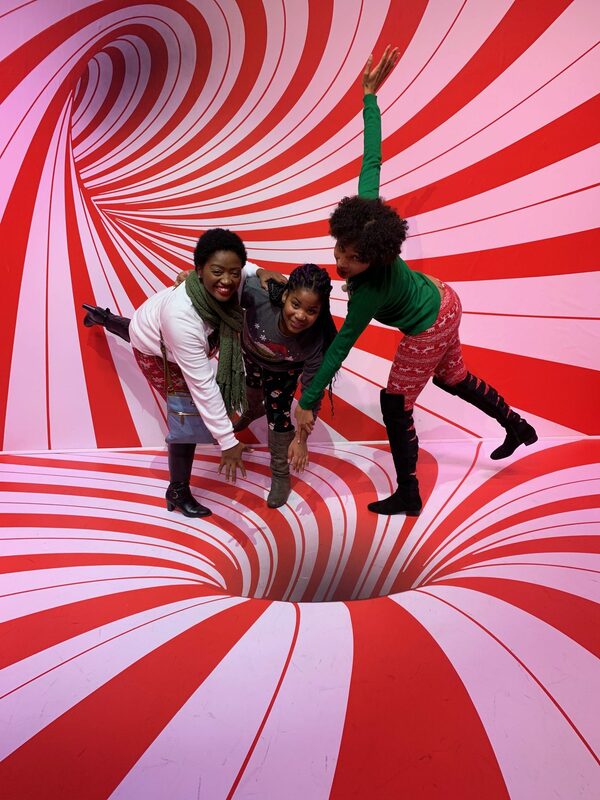 I like Peppermint Place because it gives you the illusion that you are falling into a holiday sink hole. We never fell in, because we wasnt too sure what was on the other side. Possibly the South Pole? I really loved this photo area! You literally look like you are inside of a snowglobe. I wont spoil how the illusion is made but its pretty cool. This will make for great visuals and fun holiday shots! My second to favorite room. 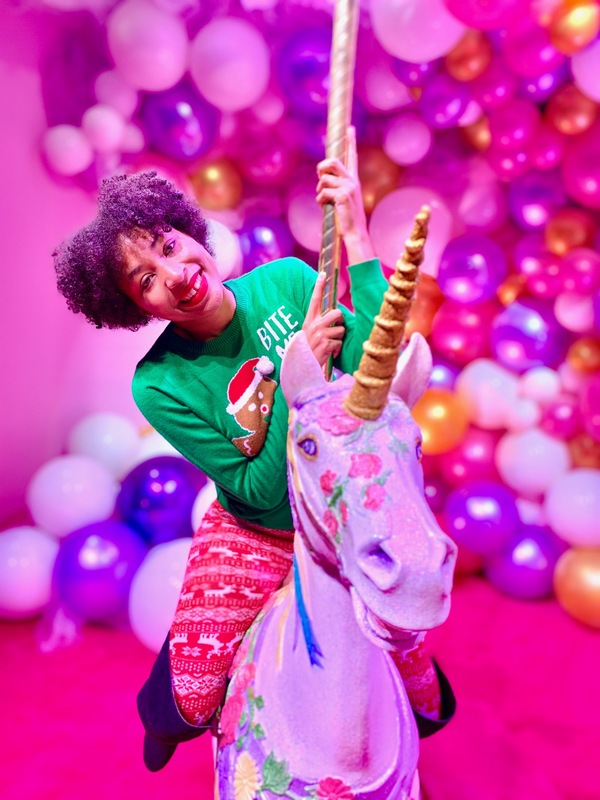 Unicorns have been trendy hard over the last few year so this colorful bubblegum-equse room with a unicorn carosuel will immediately grab your attention. 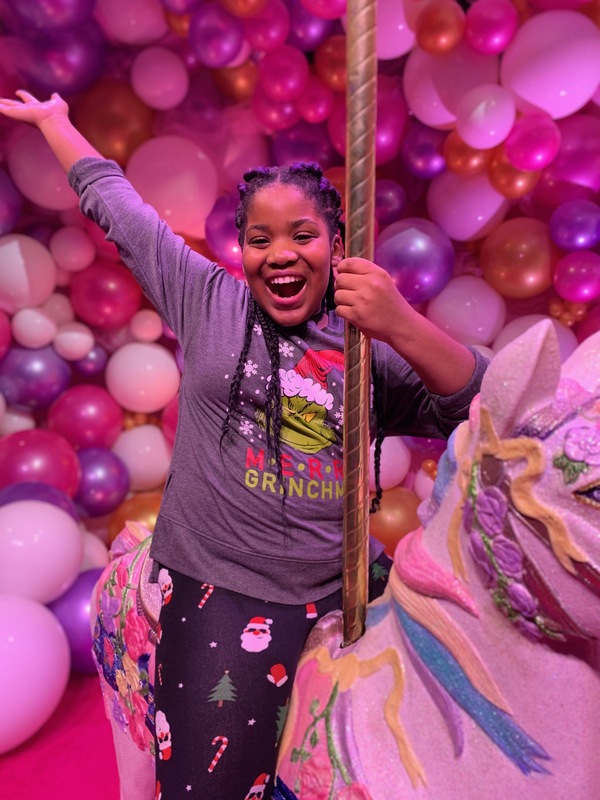 Young or old, you will want to hop on this whimsical unicorn and enjoy the pretty pastel lighting and illumination of your imagination here! Big kid forever! Now if we are going into world sometimes you have to go to different periods of times to see how Christmas was or will be. Christmas of the future looks pretty Jetson-like! Maybe futuristic Christmas for us one day means we can take a quick spaceship to different planets and moons to celebrate the holidays. Takes traveling for the holidays to the next level. Lets assume this is Christmas 2058 and there are still disco balls in the future! 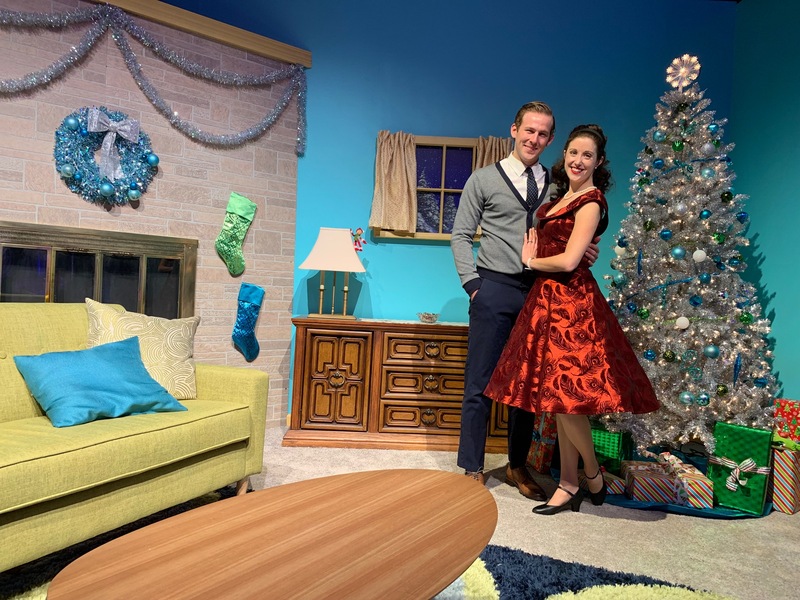 Meet John and Mary who welcomed us into their world of the Retro Christmas room. 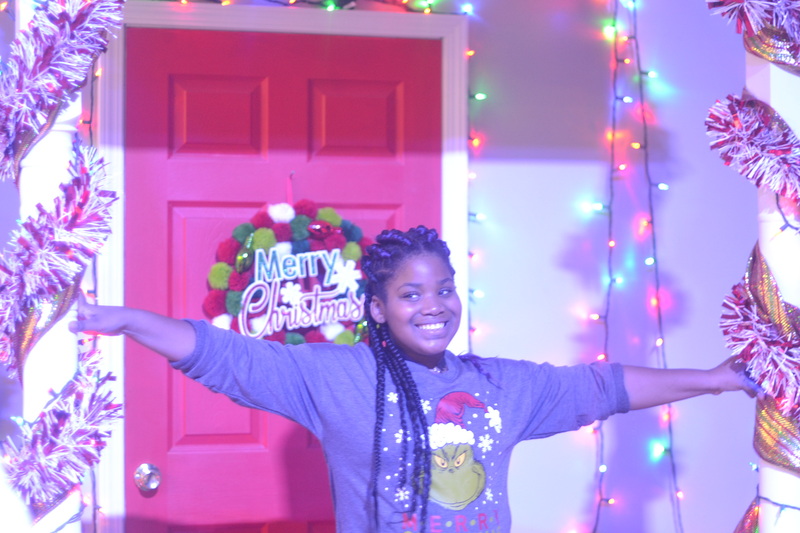 Hands down my favorite room in Santa Fantastical. 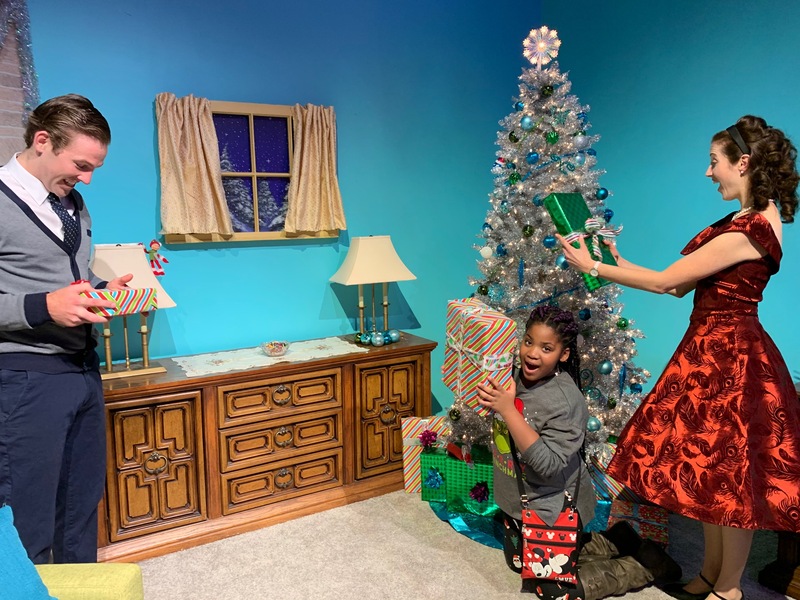 This is clearly Christmas of the past, say circa 1958, but they welcomed us to their home and let us take all the photos we want with our phone contraptions that doubles as cameras! 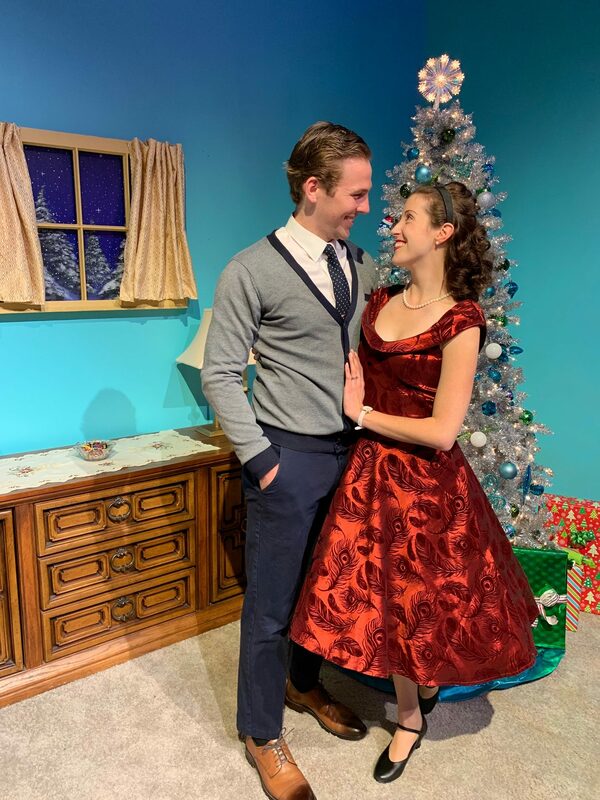 I loved this room the most because it does feel like Christmas of 1958 and when have you ever been to a photo themed place where the people are the props. 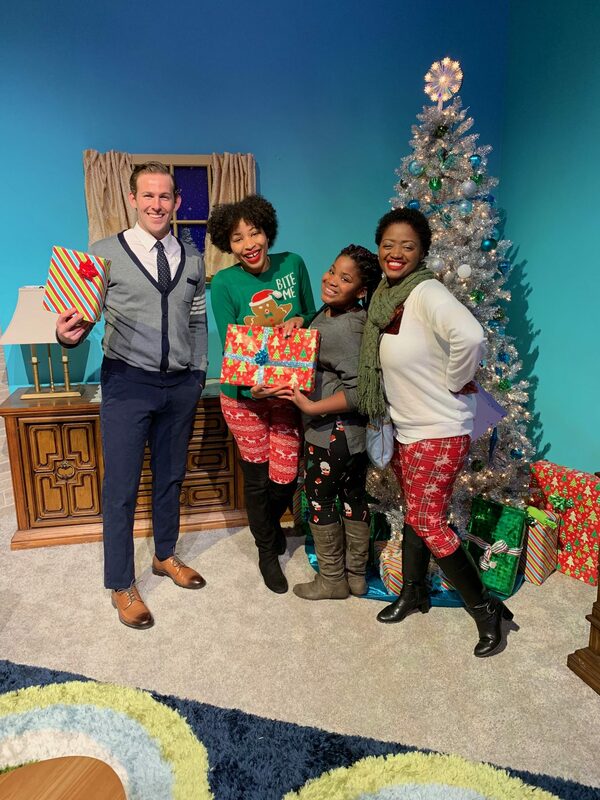 You can take pictures with John and Mary, they can open gifts with you – they will basically do whatever you want in the spirit of the holidays to get the best Christmas photos in their home. Jordan is very much so into the arts so every 30 min or so there was a different performance on the Santa Fantastical Stage. 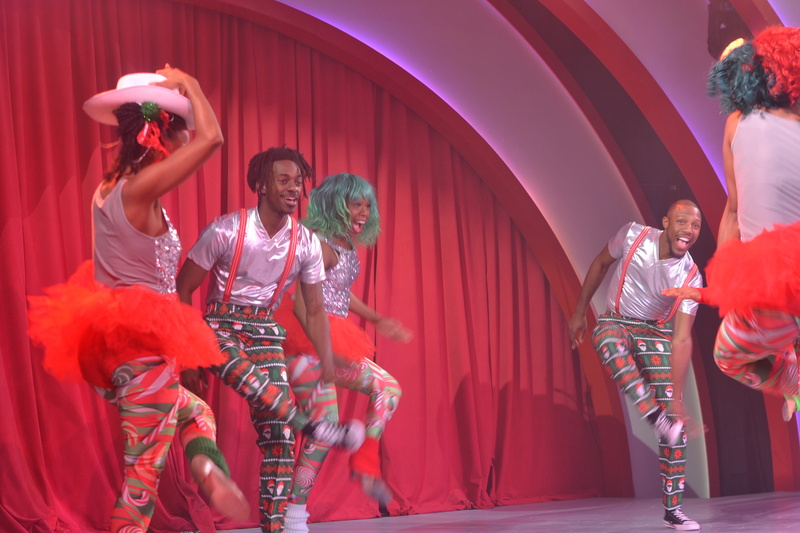 The Santa Fantastical performers were so fun as they sang and dance to holiday music in their festive costumes. This was Jordan’s favorite part. So while you are taking photos, listen out of the announcement and catch some of the shows that are also going on here. 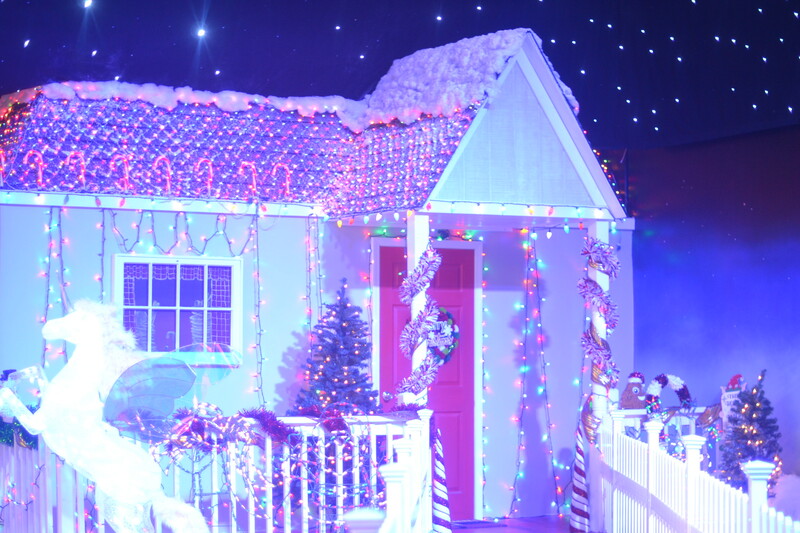 The purpose of Santa Fantastical is to have a holiday experience like you never had before. 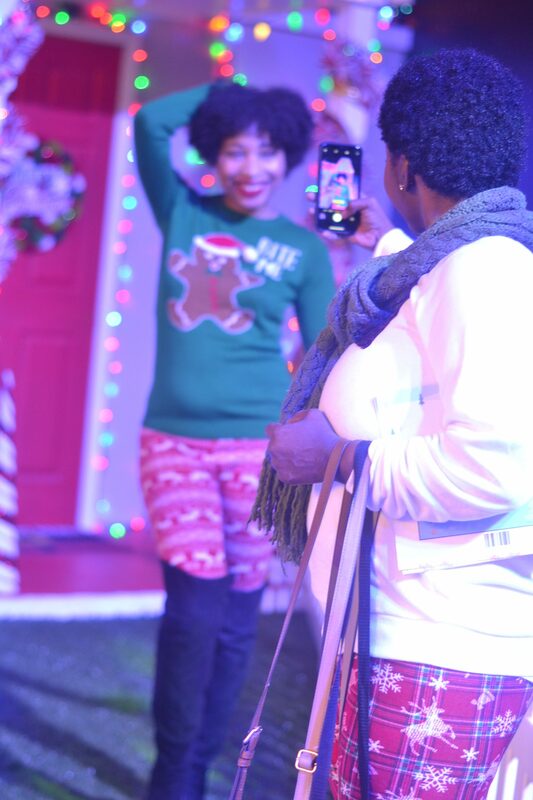 Its to take all the pictures you want in one location to get you in the spirit. 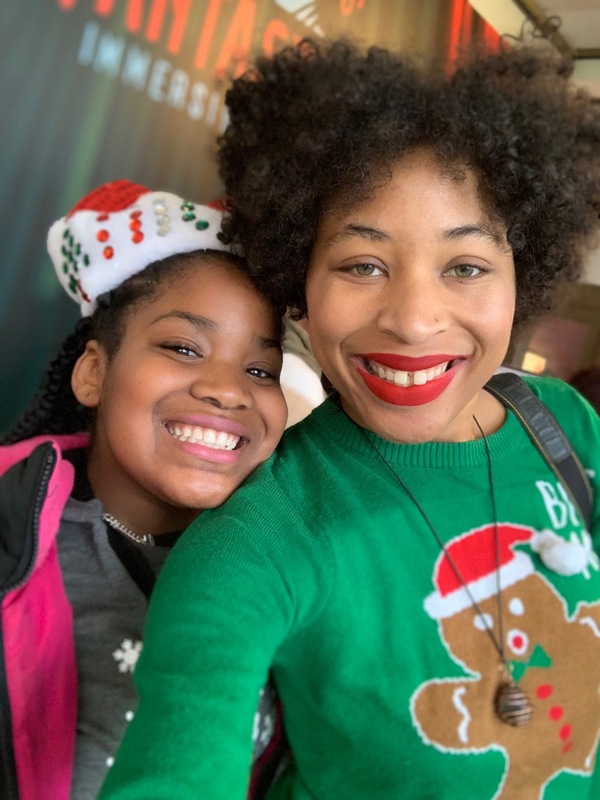 Like me and my family, its best to come as festive as you can, wear your ugly sweaters, your holiday leggings, wear traditional holiday colors or anything else so you pictures will come out super seasonal. These could be the photos for your next holiday card or scrapbook. I want to note too, one of the best perks of visiting Santa Fantastical is that there are free photo print outs! Very rare you can go to places and get your own photos printed at the location. So any photos from your phone you can print with 3 different themed layouts when you text on the location (ask a Santa Fantastical guide for assistance on how and where to print them out). Now no excuses, you have memories for life and photos for a lifetime! Get Santa Fantastical tickets here. 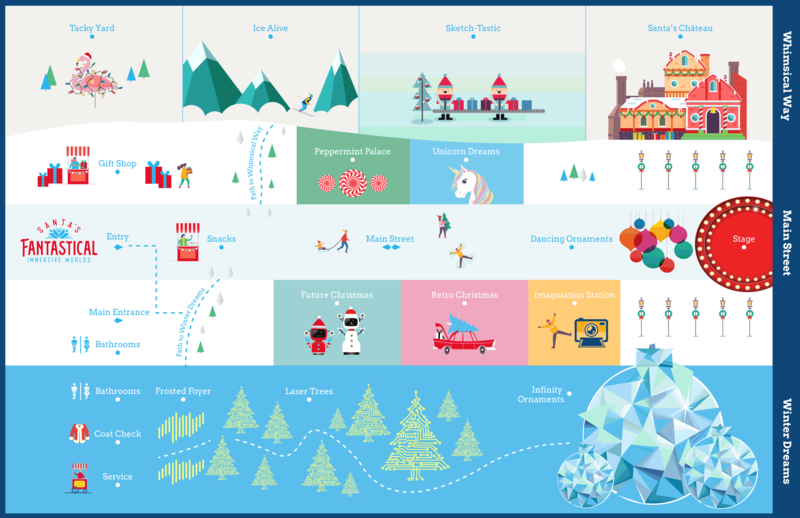 Which Santa Fanatical World Would You Visit First? Looked like a fantastic place. Like something out of Charlie ans the chocolate factory! Have a great xmas! 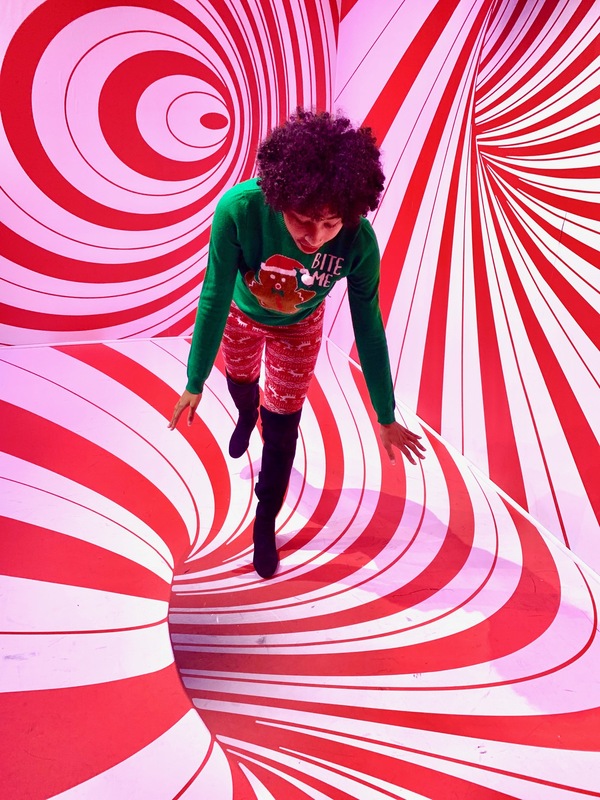 The peppermint palace almost made me dizzy just looking at the pictures! lol. What a cool place. This looks so fun! I’ve never heard of anything like it but I am going to start looking around! I love the holidays! This looks like so much fun, I really want to do something like his with my family this year. What a fun place. 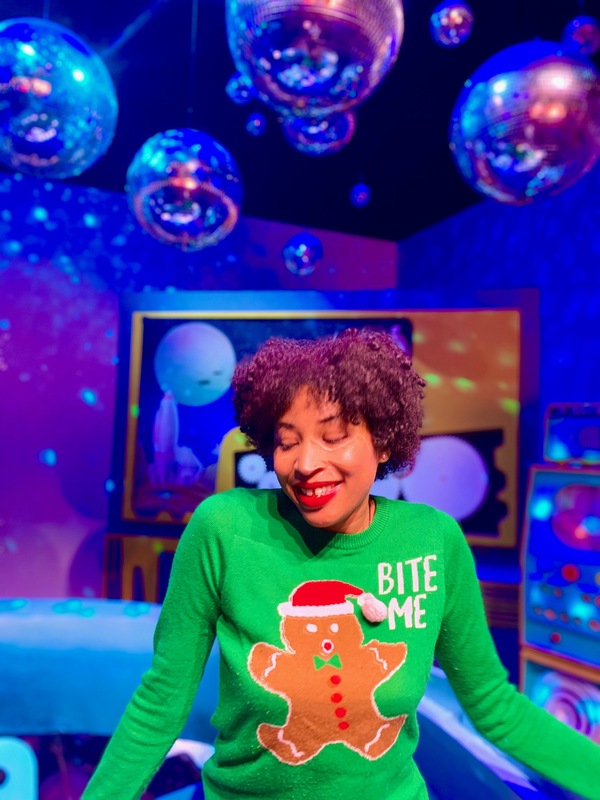 That retro room and snow globe would be my favorites for photos. Love all the pics. The peppermint one is my fav. how I wish we have fun place like this here! your shots are so cute and I can easily imagine having a great time! The place seems wonderful. And you look so happy. Very lovely pictures. Seems u really had a great time. 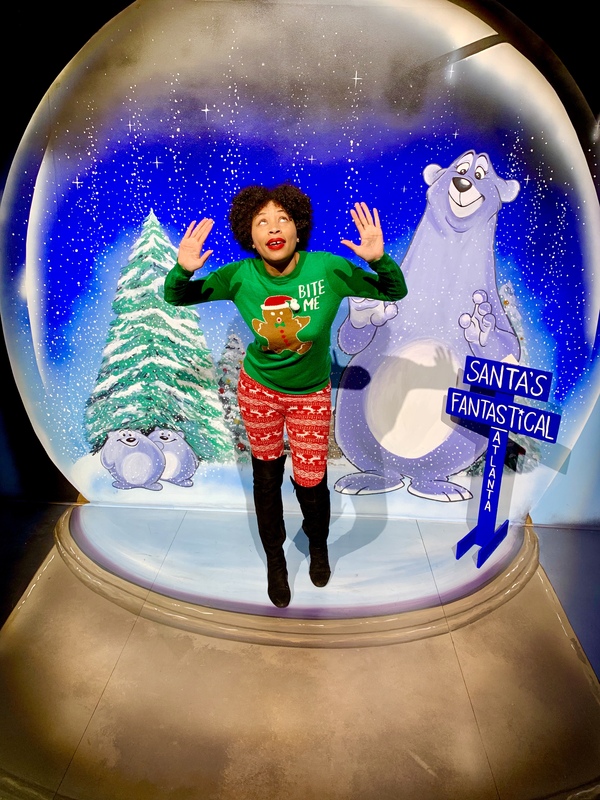 This is a great post on how to have HOLIDAY PHOTO FAMILY FUN AT SANTA FANTASTICAL IN ATLANTA. People who enjoy this holiday will feel inspired after reading. What a great set of pictures. I was trying to pick my favorites until the list got too long. the Peppermint Palace, the snowglobe and the retro stand out the most. OMG, what a cute place!! It’s so fun and festive, perfect for some holiday photos!! I wish we had something similar here! The peppermint palace looks awesome! Well, actually, everything looks really nice. The retro Christmas was fun too. Thanks for sharing your photos! Oh my goodness, I love this so much! 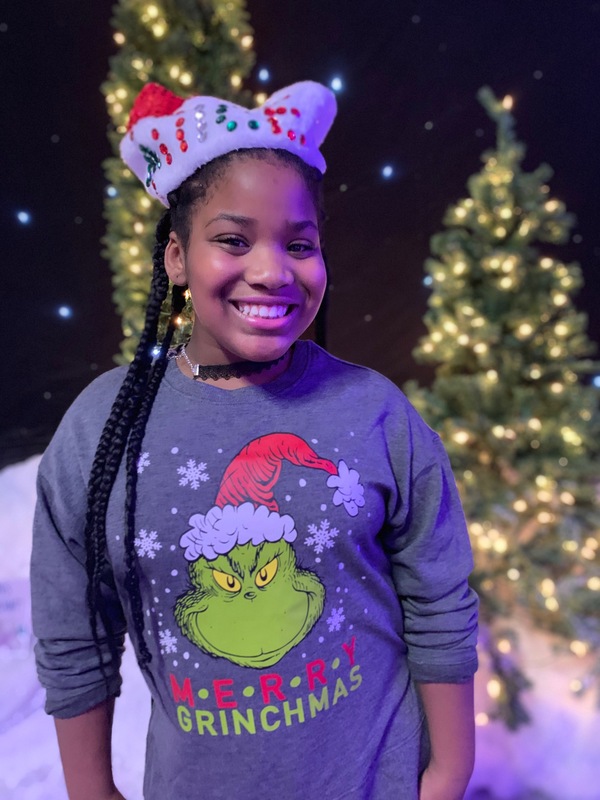 What a fun way for any age to celebrate and remember their Christmas through photos! That is so fun, but I love the peppermint area. Too bad it’s not real and you can’t break off a piece to eat. That looks like such an amazing place to go to for Christmas. That peppermint room is fantastic. And the snow globe looks pretty awesome as well. I love that sweater! You are os cute! These are wonderful hptos! I can’t decide which one I will visit first. All looks so fun! Which one is your most favourite? Lovely photos!This place looks a lot of fun! I feel the Christmas for this! Looks like fun. 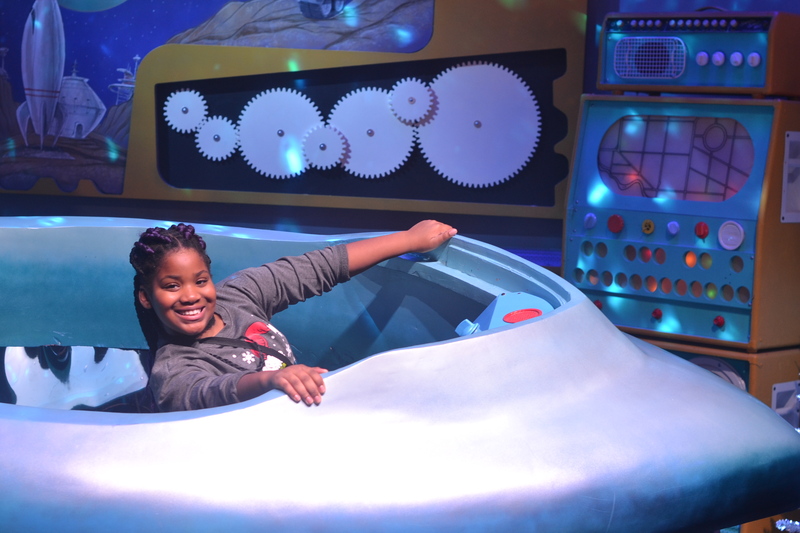 My daughter will love this Santa fantastical place. 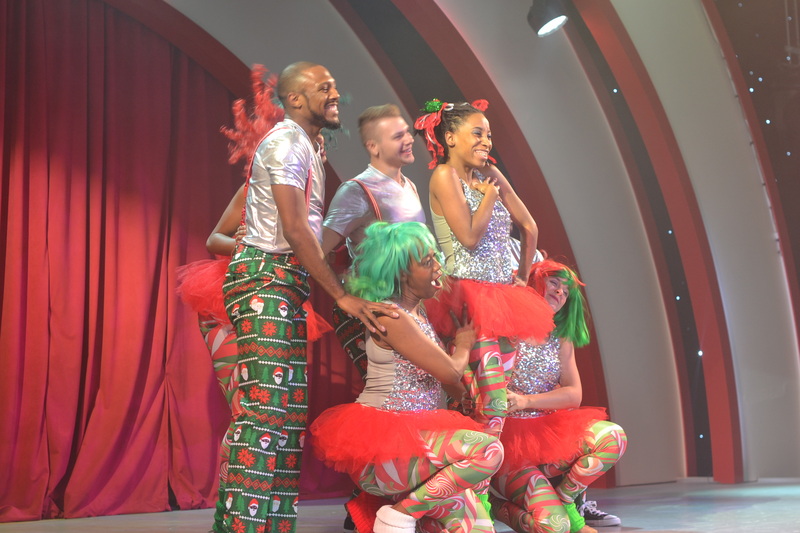 Looks like you a had great time at Santa Fantaistical. I love the way pictures are clicked and you are looking so beautiful in the pictures. Great idea! This place is so perfect for photo shoot! Love all your gorgeous photos! This looks like so much fun! 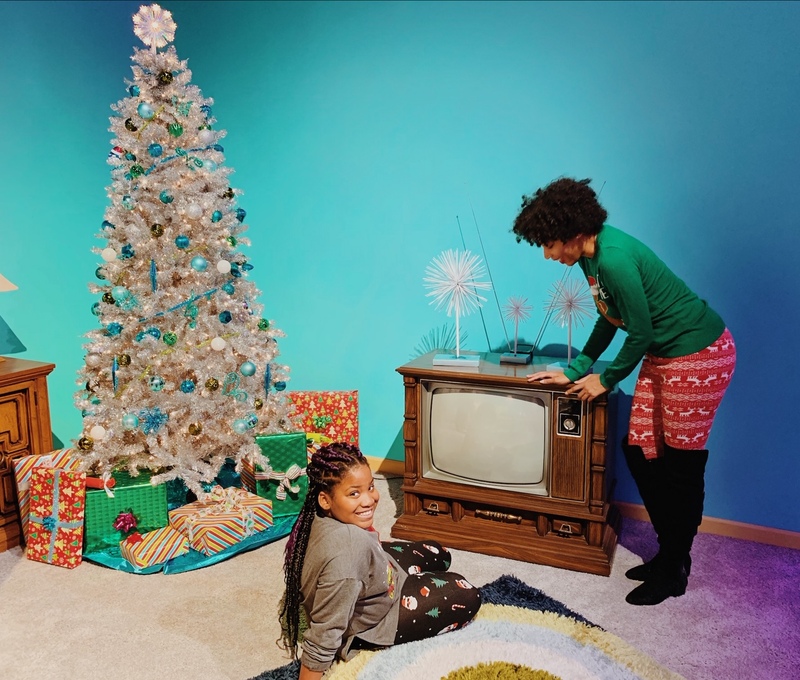 I love the retro christmas the most. This is so much fun! I wish we had something like this where I live. I love the peppermint one. I think I would have tripped all over the place. haha. What a neat place to go at Christmas time. I think I would visit the snow globe part! It looks so cool that you can take a picture inside of a snow globe! I absolutely love both of your Christmas looks but yours is by far my favorite Looks like you had an amazing time. This is SO cool! I don’t even know where I’d go first, the whole thing looks awesome. I wish they toured with it, this is so perfect for Christmas! This looks like so much fun! 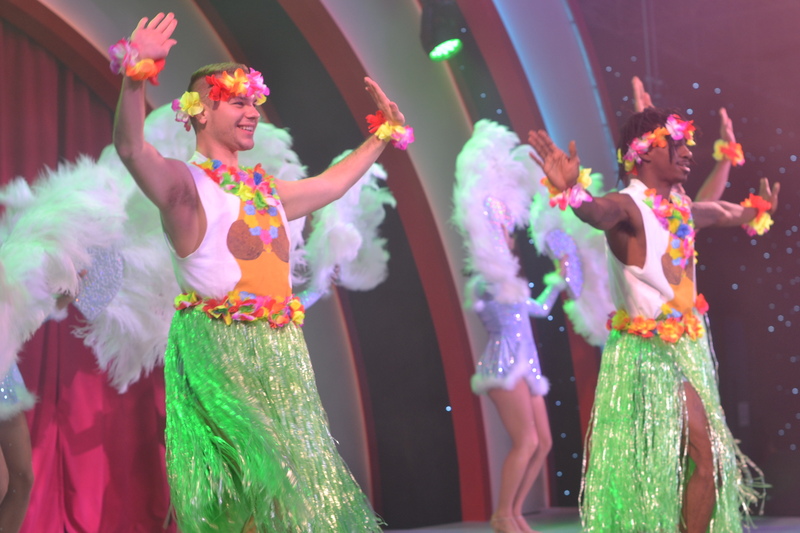 I love the snowglobe and the peppermint palace photos, you really looked like you enjoyed it there. Such love holiday pics. I loved your outfit, it so much matches the holiday theme going on! This place looks amazing! We don’t have anything like that around us but I would love it if we did. My son would have so much fun! Thanks for sharing! This looks like so much fun!!!! I love festive activities like this!!! So many photo opps and memories to make with the family!!! 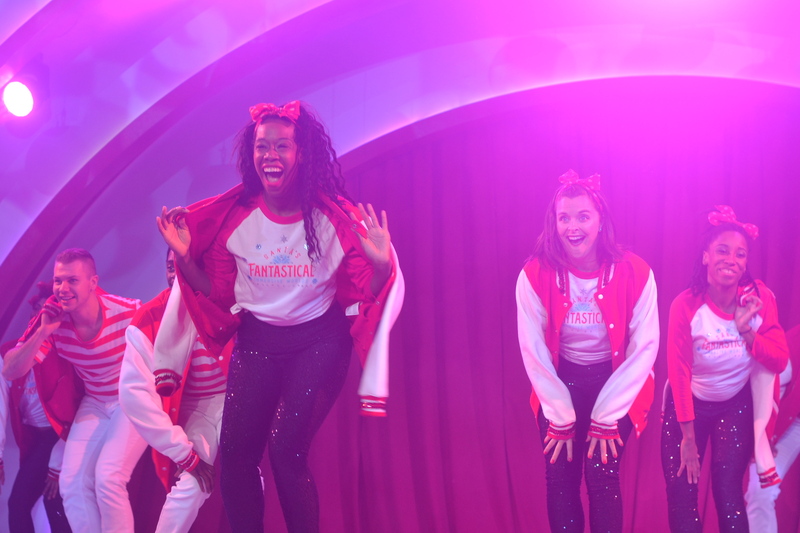 That stage show looked amazing! 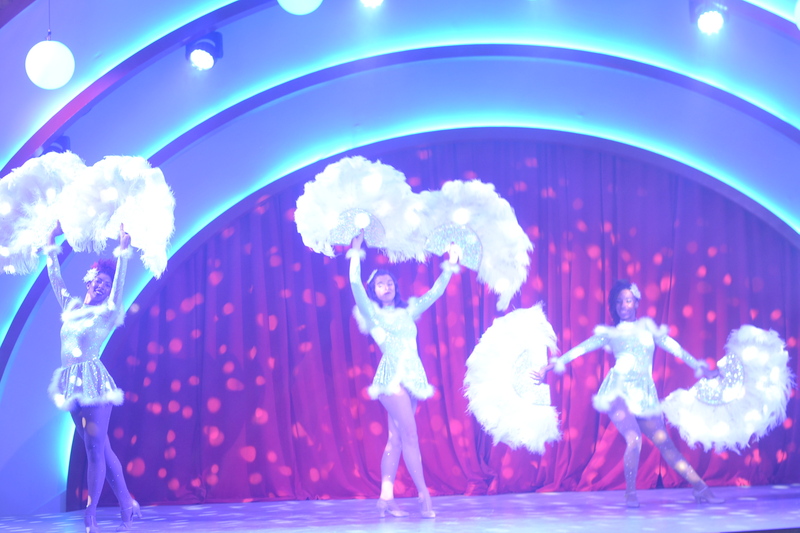 It reminded me of a holiday show we went to as a family at Myrtle Beach in 2016. Oh I love this! 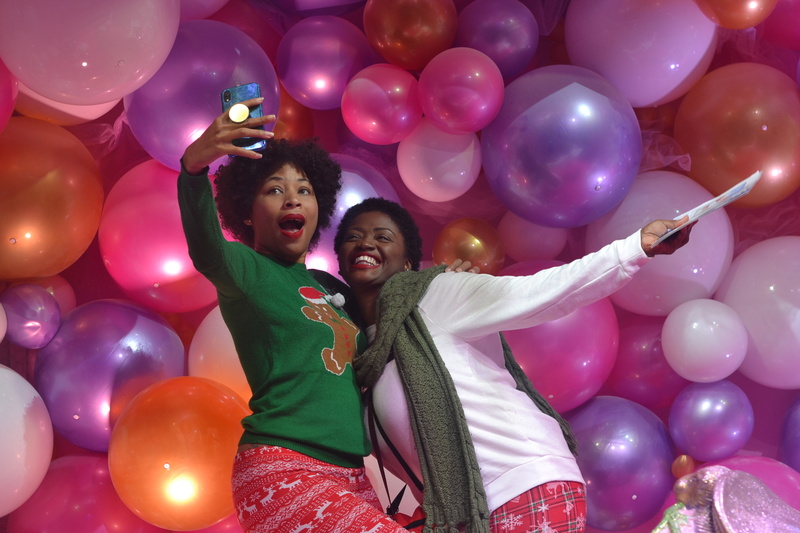 What gorgeous, festive and fun photos you’ve taken! It looks like you had such a good time, I so want to do this now!